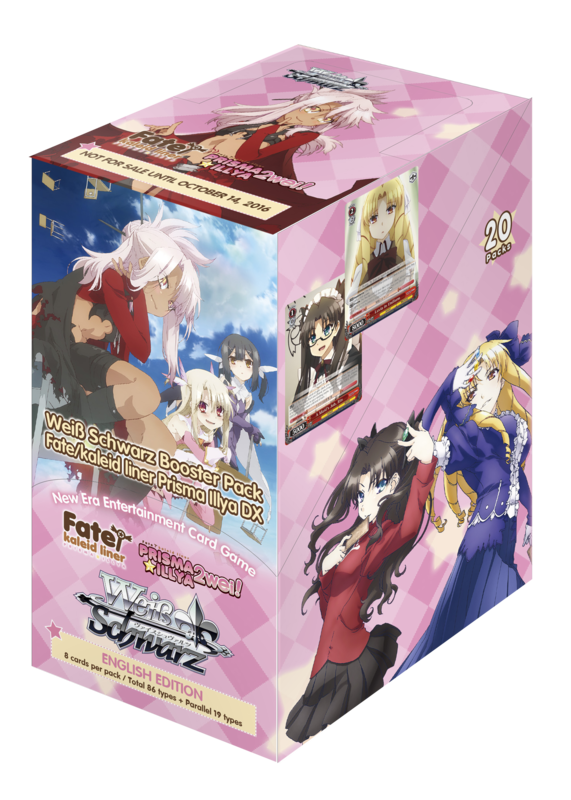 This long awaited Booster Pack for Fate/kaleid liner PRISMA ILLYA DX is finally unleashed in the English Edition of Weiß Schwarz! 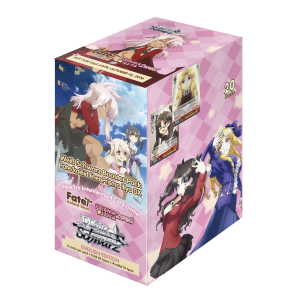 Featuring cards from the Japanese Edition of Fate/kaleid liner PRISMA ILLYA and Fate/kaleid liner PRISMA ILLYA 2wei! Extra Boosters! 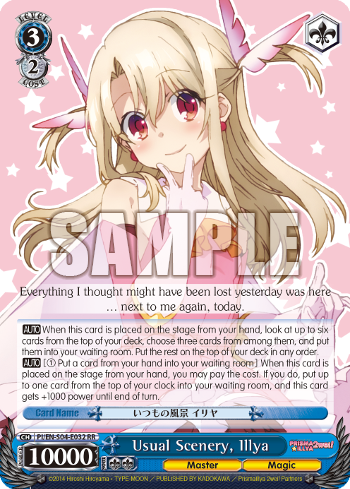 Collect the 7 Class Cards with Illya and her friends! 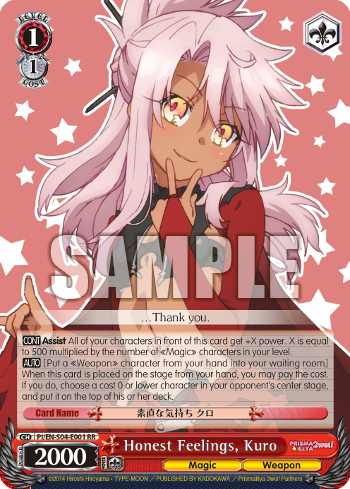 7 types of exclusive SP Gold Foil/Hot Stamp signed cards from the following Japanese voice cast are inserted randomly in packs! ■Fate/kaleid liner PRISMA ILLYA 2wei! 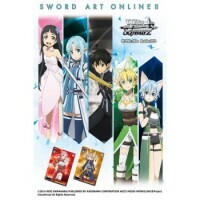 Fate/kaleid liner PRISMA ILLYA DX is NOT Neo-standard with the Fate series (Fate/Zero and Fate/stay night [Unlimited Blade Works]). 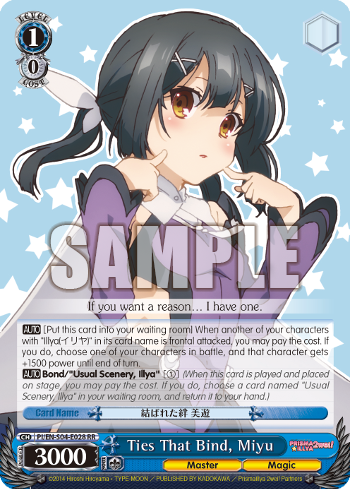 There will be changes to the Rarities, but not the Card Abilities with reference to the Japanese Edition. 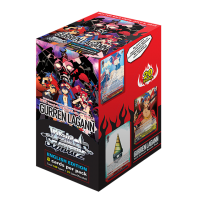 Certain Parallel foil cards from the Extra Boosters will not be included. 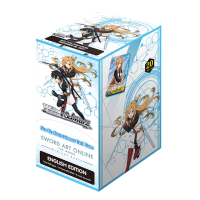 ※ Certain card specifications will differ from the Japanese edition cards. 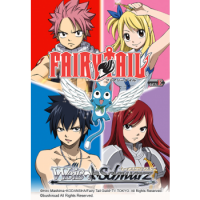 “Gear up for an RPG Adventure! 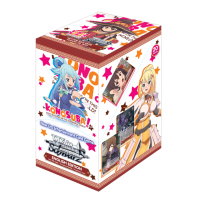 Kazuma, Aqua, Megumin and Darkness have entered the Weiss Schwarz..
It’s just a game… Or so I thought― A brand new Booster Pack with cards based on the mega hit anima..